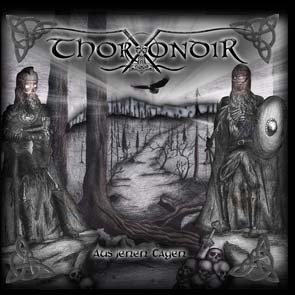 After a successful debut two years ago, Thorondir is now about to vociferously release their second album "Aus jenen Tagen" and is about to set new and distinctive standards in German Pagan Metal. The band shows itself from a much harder, more melodic and much more perfect side, however they remain true to the style of their album "Düsterwald". With an unchanged instrumentation cast the six warriors want to bring the myths and legends of their homeland to the metal world. 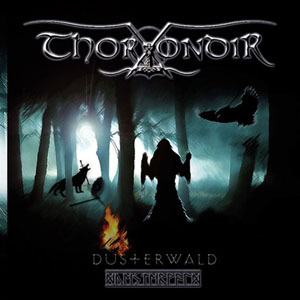 In terms of music Thorondir has grown since the first album and presents itself more versatile than before. They emphasize an unprecedented arrangement of profound lyrics, which combine old-Bavarian legends and pagan traditions, with a powerful and skillful mixture of pagan- and black metal. The guitars are more aggressive and more melodic. Hard guitar riffs and striking leads create an impressive atmosphere. In terms of the bass-guitar, the instrument comes more to the fore and gives everything a more vivid touch. All this is lead by a storm of drums consisting of fast blastbeats and series of doublebasses as well as rhythmic and silent accompaniment. The vocals with their variation from screaming to deep growling are even more brutal than before. With the folkloric and harmonic keyboard sounds the whole album gains its perfection.